Today I did the first activity for day one of week 2 of the Summer Learning Journey. 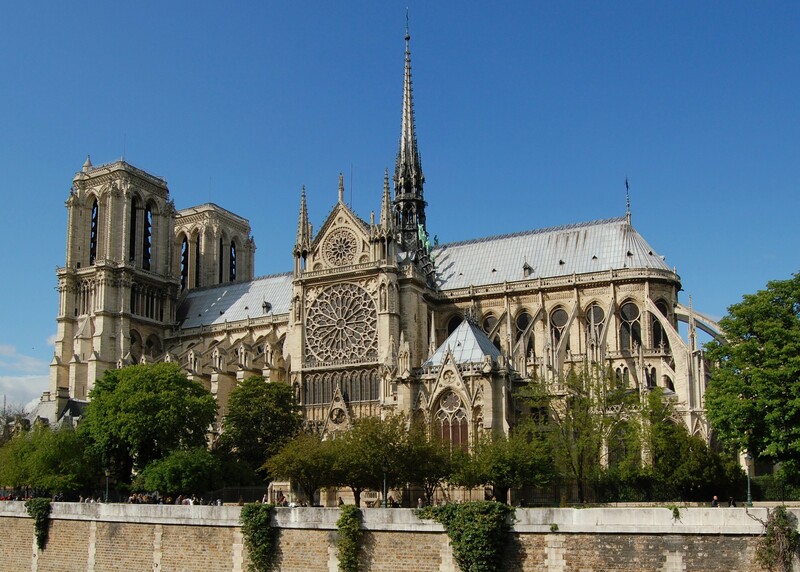 For this activity, we needed to find a picture of a famous Cathedral, and blog about it. We needed to blog it's name, where it is located, how long it took to build, and hen it was finished. We couldn't do it on the St Joseph's though, so I chose to do it on the Notre Dame. Building Time: Almost 200 Years! Hey there Jack, my name is Billy from the Summer Learning Journey. It's great to meet you and I look forward to your awesome posts this summer! First of all, thanks for opening with an introduction about the activity. That is very helpful for the people checking out your blog. This is such a interesting cathedral you have chosen. It looks like an old castle! Why do you think it took over 200 years to finish? This blog post is very interesting. I never knew that Notre Dame took almost 200 years to make. I also really like how you have added a blurb to your blog post and the layout of your blog post is really good. Keep up the good work Jack! Nicky here from the Summer Learning Journey team. I hope you had a great Christmas and New Year break and have been enjoying time with your family and friends! Don't forget you still have lots of time to complete the Summer Learning Journey activities. We'd love to have you come back and blog with us when you get a chance! Great to see that you are taking part in the SLJ. I loved visiting Notre Dame, it's beautiful inside. When I went there I lit a candle for my grandma. It's crazy to think it took 200 years to build, that's a really long time! What amazes me is how they managed to lift the heavy concrete structures up so high without the technology we have today. I look forward to reading your next post. Good job on finishing this summer learning journey activity. Your facts about the Notre Dame are amazing. I had no idea the Notre Dame took so long to build! I also can't believe it's still standing, all these years later. Keep up the excellent work Jack.